Known for manufacturing, supplying, trading and exporting a wide range of optimum quality Electric Motors & Pumps, Parekh & Company started its operation in the year 2008. The product range offered by us consists of Helical Geared Motor, Hydraulic Power Pack and Electric Motor. These centrifugal and magnetic driven pumps are manufactured from quality assured metal and alloy, which are sourced from trusted and authenticated vendors of the industry. Owing to their easy operation, low maintenance, low power consumption, minimum noise, high performance and longer serving life, these centrifugal and magnetic driven pumps are highly appreciated among our customers. Offered by us at industry leading prices, these centrifugal and magnetic driven pumps are highly demanded in the market. As per the specifications provided by the customers, the offered centrifugal and magnetic driven pumps can be customized at our end. Since the inception of our company, we have been supported and supported by a team of skilled professionals, rich vendors’ base and state-of-the-art infrastructure. Determined to attain maximum customer approval and satisfaction, our strong logistic support ensure that delivery of the offered range of centrifugal and magnetic driven pumps within the assured time frame at the customers’ end. Our owner, Mr. Hiren Parekh, has helped us in catering to the precise needs of our valuable customers in the most efficient manner. He with his experience and knowledge coupled with excellent management skills and marginal utility approach, has helped us in catering to a huge clientele across the nation. 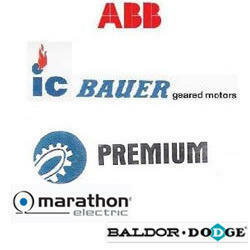 Supported by a team of technocrats, chemical engineers, mechanical engineers, electrical engineers, production manager, warehousing experts, packaging professionals, quality controllers and other supporting staff, we have been able to cater to the precise needs of our valuable customers in the most efficient manner. For the purpose of enhancing the skills of our employees in the most efficient manner, our professionals are provided with regular training sessions through seminars and workshops. In addition to this, they are work in close coordination with each other, to avoid any hassle in the workplace.